Prominent & Leading Exporter from Mumbai, we offer pvc dotted hand gloves, furnace observation face visor, fire fighter suit, fire proximity suit, led lamp helmet and safety helmet. 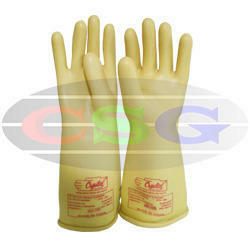 We are the prominent manufacturer, supplier, trader, distributor and exporter of PVC Dotted Gloves . 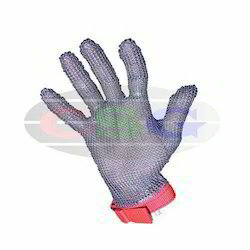 This Single Side Dotted Gloves allows the workers to handle hazardous tasks at workplace with adequate safety. We are among the distinguished names in the industry, engaged in offering Furnace Observation Visor to our valuable customers. The offered visors are designed keeping in mind the application requirements and are highly demanded for their ability to provide complete protection. These face visors are known to be precise and are widely preferred by the customers. This Furnace Observation Face Visor allows the workers to handle hazardous tasks at workplace with adequate safety. 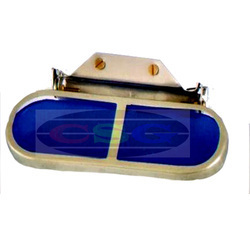 Our Cobalt Blue Face Visor finds its application in industries like Power, Energy, Railways, Automobiles, Aviation, Engineering and Construction. Our product is well known for its convenience to use, high strength, lightweight and high durability. With more than two decades of experience in the field of Industrial Safety Products, we have emerged as a respectable leader for the supply of Fire Fighter's Suit. The suit is made of multi-layered light weight fabrics and protects a fire fighter from intensive flames and high heat radiation. Our product Fire Suit was developed keeping in mind the safety of people working in manufacturing plants and indoor or outdoor work sites. This Fire Resistant Suit conforms to government standards and industry regulations. Outer Fabric: 100% nomex fabric having weight of minimum 200 GSM (6Oz/Sq.Yd). The outer fabric having inherent fire retardant properties can be washed more than 250 times without losing its fire retardant properties. Moisture barrier: Blend of m-aramid fibre and p-aramid fibre, laminated to FR breathable membrane (membrane to outer fabric). This fabric allows the body heat and moisture to be thrown out and does not allow the outside heat to enter the body. Thermal Lining: Fire retardant m-aramid fabric felt is quilted to m-aramid light weight woven fabric. This fabric allows comfortable wearing to the fire fighter. New models of this Fire Protective Suit keep developing to produce higher quality products without cutting corner. 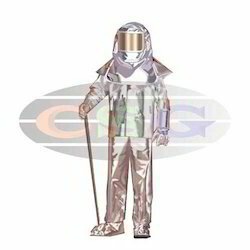 With more than two decades of experience in the field of Industrial Safety Products, we have emerged as a respectable leader for the supply of Fire Proximity Suit The offered suits are designed using premium quality fiberglass and allied materials procured from established vendors of the industry. These suits are finely finished and are regarded for their ability to provide optimal protection. Our product Furnace Suit was developed keeping in mind the safety of people working in manufacturing plants and indoor or outdoor work sites. New models of this Fire Safety Suit keep developing to produce higher quality products without cutting corner. We are known for creating a wide range of innovative and sustainable products for the industrial markets among which Helmet with Head Lamp stands on its design, strength and reliability. Helmet with lamp bracket and head lamp with battery (12 V) which can be recharged. These Helmet Headlamps are finely finished and are known for their ability to provide optimal protection. 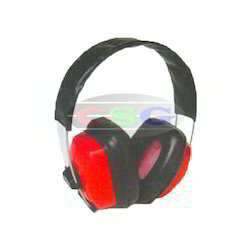 Clip-on accessories like Earmuff, Welding Visor and Face Shield without drilling. 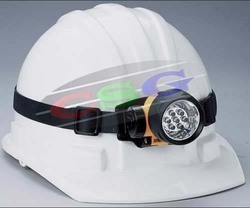 Helmet with Head Torch is recommended for labors, workers and inspection officers to use while performing their duties at the site. 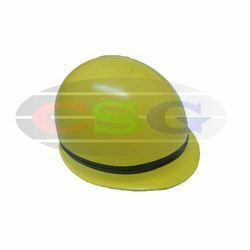 With more than two decades of experience in the field of Industrial Safety Products, we have emerged as a respectable leader for the supply of Safety Helmet and engaged in offering good quality ABS Safety Helmet to our valuable customers. The offered helmets are designed in strict compliance with the industry standards and are highly regarded by the customers. These helmets are comfortable to wear and do not harm the scalp in any way. These are known to be light in weight. Our product was developed keeping in mind the safety of people working in manufacturing plants and indoor or outdoor work sites. New models of this Head Protection Wear keep developing to produce higher quality products without cutting corner. 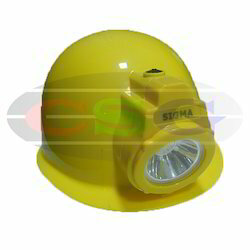 We are the prominent manufacturer, supplier, trader, distributor and exporter of Inbuilt Safety Headlamp. 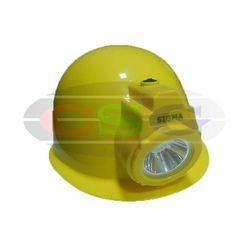 This Safety Helmet with Head Lamp allows the workers to handle hazardous tasks at workplace with adequate safety. Our Rechargeable Safety Helmet Torch finds its application in industries like Power, Energy, Railways, Automobiles, Aviation, Engineering and Construction. Our product is well known for its convenience to use, high strength, lightweight and high durability. We are known for creating a wide range of innovative and sustainable products for the industrial markets among which Emergency Respiration Kit stands on its design, strength and reliability. 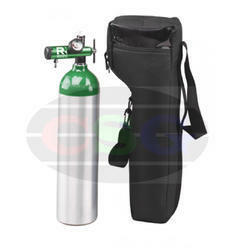 Emergency Oxygen Resuscitation kit is recommended for labours, workers and inspection officers to use while performing their duties at the site. Suitable for Hospitals, Nursing Homes and Home Care. These Resuscitation Kit with Inhalator are finely finished and are known for their ability to provide optimal protection. 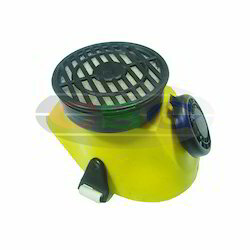 We offer extensive and comprehensive range of Disposable Respirator. Available with replaceable filter and screw to deflect the dust. Our Dust and Fume Respirators are used in work areas which are prone to higher risk of accidents. The product Dust Protection Mask is designed keeping in mind all innovative approaches to workforce safety and demands, made by industries worldwide. In addition, we offer varied range of Respiratory Mask which are being widely used in industries like Metallurgical, Steel, Aluminium, Power, Energy, Petrochemical, Oil & Gas, Glass, Chemical, Cement Offshore & Onshore Industry, Furnace Areas, Fire Departments, etc. With more than two decades of experience in the field of Industrial Safety Products, we have emerged as a respectable leader for the supply of Face Protector. 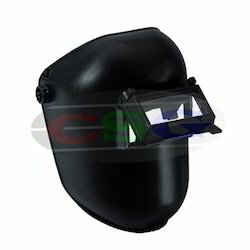 , engaged in offering good quality Face Shield Type “B” to our esteemed customers. The offered shields are designed as per the prevailing industry standards, using high-grade materials and sophisticated technology. 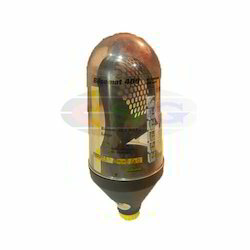 These shields are comfortable to wear and provide immense protection to the customers. Our product Industrial Face Shield was developed keeping in mind the safety of people working in manufacturing plants and indoor or outdoor work sites. This Face Mask conforms to government standards and industry regulations. New models of this Grinding Face Mask keep developing to produce higher quality products without cutting corner. We are long-time established manufacturer, distributor, importer and exporter of Face Visor and engaged in offering Face Shields Type “A” to our valuable customers. The offered face shields are designed as per the set industry standards using high-grade materials and sophisticated technology. Being easy to wear and light in weight, these shields are highly demanded by the customers and we are exporting Our Face Shield to global regions like of Middle East, Africa, South Asia, Latin America, Europe, Bangladesh, Bhutan, Nepal, Sri Lanka and many more. Polycarbonate Face Shield provides adequate protection to a person working in adverse working conditions. Our Grinding Face Shield follows industrial norms like Indian Standards, ANSI, CE, FDA, etc. depending on the product. We have over two decades of vast industrial knowledge and experience in producing superior quality Welding Helmet which we offer to our valuable customers. The offered helmets are designed in strict compliance with the industry standards and are highly appreciated by the customers. These helmets provide complete protection and are known to be extremely durable. Advanced techniques are used to produce Welding Face Shield with precision. We are known for creating a wide range of innovative and sustainable products for the industrial markets among which Ear Plug stands on its design, strength and reliability. The offered earplugs are designed precisely and are regarded for their easy to use design. Providing utmost protection from the unwanted noise, these earplugs are highly appreciated by the customers. We make these earplugs available at competitive prices to the customers. Foam Ear Plug is recommended for labours, workers and inspection officers to use while performing their duties at the site. Now Companies have started adopting increased safety measures since it has become mandatory to follow safety protocols. Audits for Artificial Resuscitator take place to check their conformance to safety and quality standards set by government and testing bodies. Type: Non-breathing valve with pressure limiting device wherein it will open if the inspiratory pressure is more than 60cms of water. Size 3 Clear hood facemask with silicone cuff. 1.5mtrs oxygen enrichment tubing & 2600ml Reservoir bag. It is an artificial respirator approved by GOI (DGMS). In lieu of traditional system i.e. mouth to mouth to victims of suffocation, electric shock, heart problem etc. 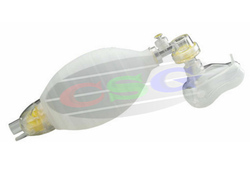 Silicone Resuscitator is compact and light weight so that it occupies less space and becomes easy to transport. To keep up with growing demand of Artificial Breathing Apparatus, we keep adequate stocks at any given time. We are among the prominent names in the industry, engaged in offering wide range of Chemical Protection Goggles to our valuable customers. 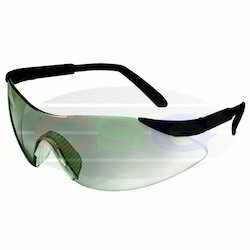 The offered goggles provide complete protection to the customers and are highly regarded for their innovative design. 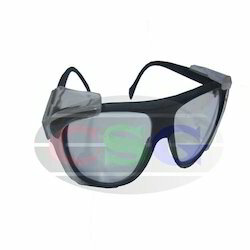 Being durable and easy to maintain, these goggles are highly demanded by the customers.The product Chemical Splash Guard is designed keeping in mind all innovative approaches to workforce safety and demands, made by industries worldwide. 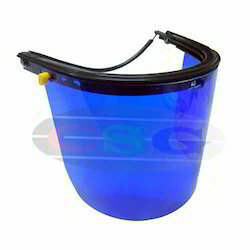 Chemical Safety Goggles is used in work areas which are prone to higher risk of accidents. In addition, we offer varied range of Chemical Protection Eyewear which are being widely used in industries like Metallurgical, Steel, Aluminium, Power, Energy, Petrochemical, Oil & Gas, Glass, Chemical, Cement Offshore & Onshore Industry, Furnace Areas, Fire Departments, etc. Fiberglass Reinforced Plastic (FRP) for protection of head against the hazard in firefighting. The neck protector provided in the helmet guards against water splashes and are plated with anticoncussion tapes. Available in black and yellow colour. Our FRP Fireman Helmet follows industrial norms like Indian Standards, ANSI, CE, FDA, etc. depending on the product. Colour White, Red, Yellow, Blue, Orange and Green. 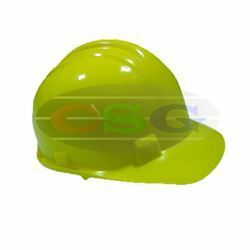 We have over two decades of vast industrial knowledge and experience in producing superior quality PVC Helmet . 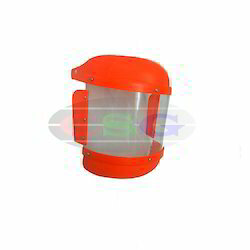 Made up of High Density Polyethylene (HDPE) / Polyvinyl Chloride (PVC) cross ribbed shell. It has 6 point adjustable plastic suspension and a replaceable cotton headgear as well as chinstrap. It has provision to fix face shield and earmuff. The basic materials used in manufacturing HDPE Safety Helmet are well tested by our testing team to ensure its safety. Colours: White, Red, Yellow, Blue, Orange and Green. Approved And Certified: DGMS/ BIS: 2925. Our engineers and technical team also provide customised designs PVC Ratchet Helmet as per customer requirements and applications. Advanced techniques are used to produce PVC Nape Strap Helmet with precision. We offer extensive and comprehensive range of Eye Protection Wear. 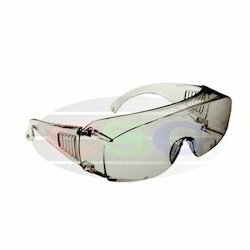 Our Clear Safety Goggles is used in work areas which are prone to higher risk of accidents. The product Industrial Safety Eyewear is designed keeping in mind all innovative approaches to workforce safety and demands, made by industries worldwide. In addition, we offer varied range of Industrial Protective Eyewear which are being widely used in industries like Metallurgical, Steel, Aluminium, Power, Energy, Petrochemical, Oil & Gas, Glass, Chemical, Cement Offshore & Onshore Industry, Furnace Areas, Fire Departments, etc. UV Protected Glasses offered by us helps in protecting workers from life-threatening hazards at workplace. .
UV Protective Goggles being light weight but sturdy offers comfort along with protection. Our quality management team, inspects and tests Sun Protection Goggles before it is dispatched to customers. With more than two decades of experience in the field of Industrial Safety Products, we have emerged as a respectable leader for the supply of Safety Goggles. 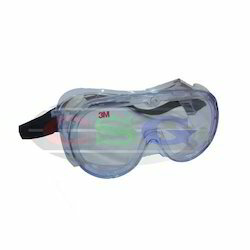 Our product Industrial Safety Goggles was developed keeping in mind the safety of people working in manufacturing plants and indoor or outdoor work sites. New models of this 3M Safety Goggles keep developing to produce higher quality products without cutting corner. 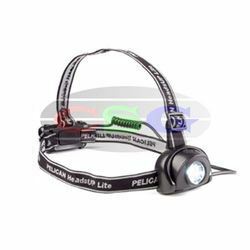 We have over two decades of vast industrial knowledge and experience in producing superior quality LED headlamp. For jobs that demand a powerful beam, flip the switch down for the halogen mode. Cut through thick smoke and dust. The body is tough ABS resin that's corrosion proof and resistant to extreme temperatures. The 90° pivoting head allows you to aim light right where you need it. The light weight battery pack houses 4 AA alkaline cells (included). 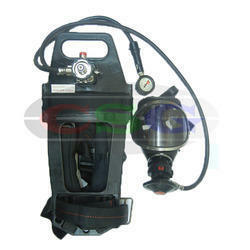 We are one of the prominent names in the industry, offering Breathing Apparatus. Cylinder made from Mild Steel - 6 litres /200 bar - 10.9 kg Approx. with Valve for empty cylinder. Total Weight – 14.7 kg. Approximately. We offer broad selection of Artificial Respiration Kit for construction, chemical, food service, metal, cement , marine and other industries. We study the market demand for Self-contained Breathing Apparatus Set regularly and keep optimum stock levels. I. These Electric Shock Gloves has seamless construction and made from specially compounded latex for compute insulation. II. Our gloves are soft and flexible for comfort, yet both abrasion and cut resistant for long wear. III. These insulating gloves have curved hand design giving superior electrical protection and maximum comfort in high voltage work. IV. It is 100% shock proof. VII. Our gloves are tested for Test Potential, Leakage Current and Physical Properties. VIII. 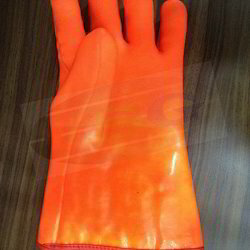 This Electrical Hand Gloves Conforms to IS 4770-1968/1991, IS 13774-1993, EN 60903:2003 – IEC 60903:2002 – CE. IX.. Our product Electric Shock Gloves was developed keeping in mind the safety of people working in manufacturing plants and indoor or outdoor work sites. We provide Lineman Safety Gloves for protection against electrical shocks in various places like hospitals, amusement parks, water plants, office buildings, manufacturing plants and schools. They have excellent grip, water resistance, high strength, lightweight and high durability. Now Companies have also started adopting increased safety measures since it has become mandatory to follow safety protocols. Audits for Lineman Electrical Gloves take place to check their conformance to safety and quality standards set by government and testing bodies. I. They has seamless construction and made from specially compounded latex for compute insulation. VIII. Conforms to IS 4770-1968/1991, IS 13774-1993, EN 60903:2003 – IEC 60903:2002 – CE. X. The Lineman Insulated Glove is compact and light weight so that it occupies less space and becomes easy to transport. New models of this Chain Mail Gloves keep developing to produce higher quality products without cutting corner. We are one of the prominent names in the industry, offering Neotherm Glass and offer broad selection of Furnace Observation Goggles for construction, chemical, food service, metal, cement , marine and other industries. Additional data: flip up adjustment, fitted on stainless steel frame, screw type for mounting on helmet peak. We study the market demand for Smelter Goggles regularly and keep optimum stock levels. We are known for creating a wide range of innovative and sustainable products for the industrial markets among which Safety Eyewear stands on its design, strength and reliability. Designed for indoor as well as outdoor use, and fitted with light mirror coated lens. These Protective Glasses are finely finished and are known for their ability to provide optimal protection. Safety Glasses is recommended for labours, workers and inspection officers to use while performing their duties at the site. 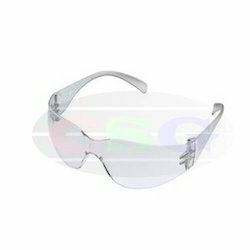 We are among the esteemed names in the industry, engaged in offering Punk Type Safety Goggles to our valuable customers. 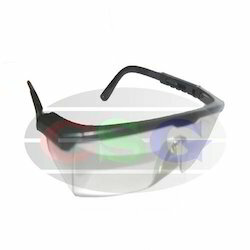 The offered goggles are stylish and at the same time, provide immense protection to the wearers. 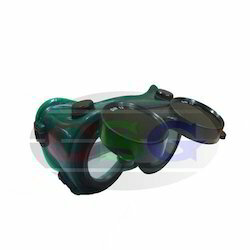 High-grade materials are procured from established vendors of the industry for manufacturing these goggles. This Respiratory Mask Cartridge helps in protecting workers from life-threatening hazards at workplace. Cartridge compatible with Venus V-500 and V-800 mask. Our Multipurpose Respirator Cartridge is available in customised styles and colours as per customer’s demand. Our quality management team, inspects and tests Chemical Mask Cartridge before it is dispatched to customers. 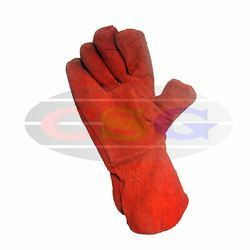 The product Welding Hand Gloves is designed keeping in mind all innovative approaches to workforce safety and demands, made by industries worldwide. In addition, we offer varied range of Leather Hand Gloves which are being widely used in industries like Metallurgical, Steel, Aluminium, Power, Energy, Petrochemical, Oil & Gas, Glass, Chemical, Cement Offshore & Onshore Industry, Furnace Areas, Fire Departments, etc. 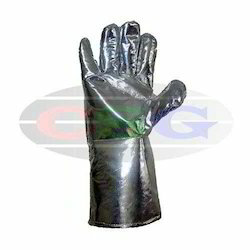 We are the prominent manufacturer, supplier, trader, distributor and exporter of Heat Resistant Gloves engaged in offering good quality Aluminized Fiberglass Hand Gloves to our valuable customers. These gloves are designed as per the established industry standards and are highly demanded by the customers. These gloves provide complete protection to the hands and are known to be highly durable.This Aluminised Safety Gloves allows the workers to handle hazardous tasks at workplace with adequate safety. 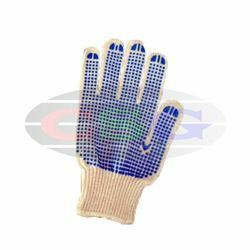 Size: 12", 14", 16", 18"
Fiberglass Hand Gloves finds its application in industries like Power, Energy, Railways, Automobiles, Aviation, Engineering and Construction. . These muffs are comfortable and do not irritate the ears in any way. We make them available at competitive prices. In addition, we offer varied range of Noise Protection Wear which are being widely used in industries like Metallurgical, Steel, Aluminium, Power, Energy, Petrochemical, Oil & Gas, Glass, Chemical, Cement Offshore & Onshore Industry, Furnace Areas, Fire Departments, etc. We are long-time established manufacturer, distributor, importer and exporter of Ear Protection Devices . Our Ear Plug Dispenser are being exported to global regions like of Middle East, Africa, South Asia, Latin America, Europe, Bangladesh, Bhutan, Nepal, Sri Lanka and many more. 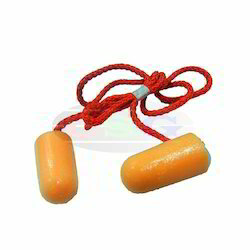 This Ear Plug Accessories provides adequate protection to a person working in adverse working conditions. 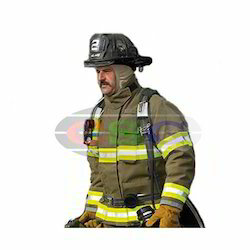 We are the prominent manufacturer, supplier, trader, distributor and exporter of Fire Proximity Clothing. and backed by our vast industry expertise we are supplying good quality 700 Series Proximity Suits for our valuable customers. The offered suits are designed to provide absolute protection from excessive heat and are regarded for their comfortable fitting. These suits are highly resistant to heat and require minimal maintenance on the part of the customers. This Fire Proximity Apparel allows the workers to handle hazardous tasks at workplace with adequate safety. 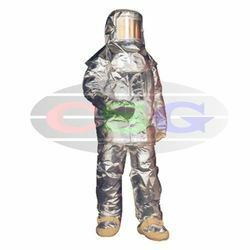 Aluminium Proximity Suit finds its application in industries like Power, Energy, Railways, Automobiles, Aviation, Engineering and Construction. 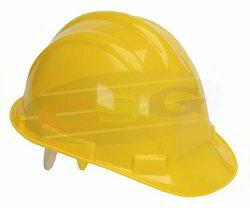 Our FRP Helmet with Chip Strap is used in work areas which are prone to higher risk of accidents. 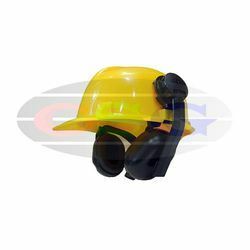 The product FRP Helmet with Nape Strap is designed keeping in mind all innovative approaches to workforce safety and demands, made by industries worldwide. 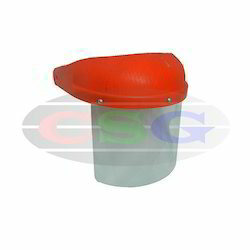 In addition, we offer varied range of FRP Safety Helmet with Ratchet Fitting which are being widely used in industries like Metallurgical, Steel, Aluminium, Power, Energy, Petrochemical, Oil & Gas, Glass, Chemical, Cement Offshore & Onshore Industry, Furnace Areas, Fire Departments, etc. Nine LED Head Lamp without Helmet. Operates on two AA batteries. This system allows the light body to be attached interchangeably to a helmet with the help of its elastic headband. Our LED Headlamps are being exported to global regions like of Middle East, Africa, South Asia, Latin America, Europe, Bangladesh, Bhutan, Nepal, Sri Lanka and much more.Our Safety Helmet follows industrial norms like Indian Standards, ANSI, CE, FDA, etc. depending on the product. We have over two decades of vast industrial knowledge and experience in producing superior quality Flip Up Welding Goggles and are among the prestigious names in the industry, engaged in offering this to our valuable customers. The offered goggles are designed in strict compliance with the industry standards and are highly appreciated by the customers. These goggles are durable and require least maintenance, making them highly demanded by the customers. The offered Front Lift Welding Goggle is designed with vast domain expertise of our professionals and are highly appreciated for their optimal functionality. We have over two decades of vast industrial knowledge and experience in producing superior quality Respiratory Protection Device. BA sets of international std. with cylinders certified by directorate of explosive. 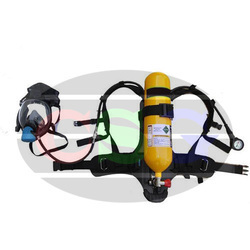 Self-Breathing Apparatus set includes Mask, Reducer, Demand Valve, and Emergency Alarm Whistle. It provides the user with respiratory protection while working in contaminated or oxygen deficient gaseous atmosphere. Our engineers and technical team also provide customised designs Respiratory Equipment as per customer requirements and applications. Advanced techniques are used to produce Artificial Respiratory Equipment with precision. 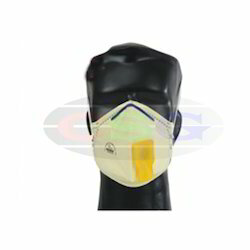 We are the prominent manufacturer, supplier, trader, distributor and exporter of Disposable Respirator. This Dust Protection Mask allows the workers to handle hazardous tasks at workplace with adequate safety. Yellow Colour SMS Fabric Flat & Fold ‘C’ type filtering half mask against solid & liquid particles aerosol & paraffin oil mist test with Advanced Non-returnable Valve (NRV) & electrostatically charged electret filter media prescribed by BIS 9473: 2002 more than 80% filtration, tested at 0.3 micron. CE Mark EN 149:2001 +A1:2009. Our Fume Protection Mask finds its application in industries like Power, Energy, Railways, Automobiles, Aviation, Engineering and Construction. Our product is well known for its convenience to use, high strength, lightweight and high durability. A flexible, soft glove that absorbs perspiration, for ultra comfortable extended wear and with good mechanical resistance and resistance to cold temperatures.